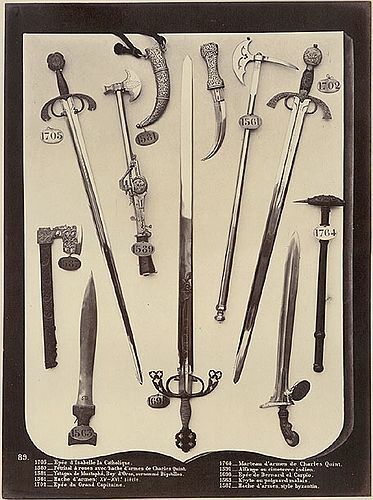 Showing swords and hachets from the Madrid Armory. Titled in the negative "89" followed by descriptions of the weapons shown. On sheet 21 x 17 inches (52x43 cm) with Laurent's Madrid and Paris studio copyright imprints.